It’s that time of year when the food wars begin in my house. Most of the time we agree on our food preferences or at least agree to disagree like on bacon. I don’t like bacon much, but Nate obviously loves it and makes delicious food with it. We don’t buy much of it, but I don’t generally say much about it. 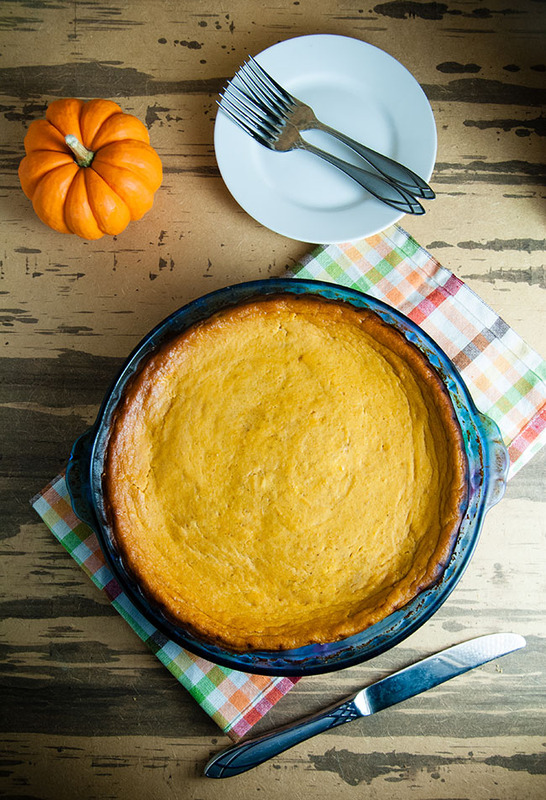 Unlike bacon, pumpkin- especially pumpkin desserts like this Pumpkin Cheesecake- is a source of tension in this house. I admit. It’s my fault. My absolute basic tendencies get the best of me. I’ve told you before how I bleed pumpkin from roughly the end of August through the holidays. But see, I not only bleed pumpkin, I fight for pumpkin. Pumpkin love is a cause my yoga pants clad, psl drinking self (sips delicious coffee and sighs happily) feels so strongly about. I may force my love of pumpkin down my family’s throats. It’s shameful. I need to have more respect. See, Nate and I have very different dessert opinions. We both have humongous sweet tooths (teeth?) but for him, all he wants is chocolate everything. Now, don’t get me wrong, I love a good chocolate dessert. I’m very well acquainted with working in chocolate to as many meals as possible (chocolate waffles anyone?). But I like a little more variety. I like chocolate desserts, fruity desserts. Anything that’s sweet and satisfying. Except this time of year. GIVE ME ALL THE PUMPKIN. I’m serious. So needless to say, when I shared my plans to make this my husband wasn’t thrilled. But given that it’s only September he isn’t begging for a chocolate dessert just yet. Plus, this dessert is pretty dang delicious. It’s pumpkin perfection appeals to my off the charts level of basicness. But it’s perfection. Seriously. Think silky smooth filling, and a lightly sweet crust. The hints of cinnamon and ginger shine in the cheesecake filling. Plus the marscapone cheese- which is extra creamy Italian style cheesecake- makes it even yummier. It is the perfect dessert to serve on Thanksgiving. And let me just leave you with this sweet truth: it is gluten free with an awesome crust made of Cinnamon Chex cereal and sweetened with honey. So it’s practically health food. Add the ingredients for the crust into a food processor and pulse until the cereal is ground up. The crust should just stick together in coarse clumps. Press the crust into a 9 inch pie dish, sprayed with nonstick spray. Bake for 5-7 minutes or until just golden. While the crust is baking, whip the marscapone cheese in a stand mixer until fluffy, about 2 minutes. Add the pumpkin, honey, eggs, and spices. Mix until combined, scraping the sides of the bowl down to make sure all the ingredients are fully incorporated. Fill an oven safe casserole dish half way with water. Place on the bottom rack of the oven. Put the pie on the top rack and bake for 50-55 minutes or until the top is set. Turn off the oven and crack the door. Let the pie cool in the oven for at least two hours before removing from the oven and cooling on the counter for another 2 hours. Store uncovered in the fridge for up to 5 days and enjoy with whipped cream if desired. This sounds so good. I’m interested in the Chex crust! Chex cereal is gluten free so this is great for many! I’ll pin! That’s why I use the Chex! Plus it’s so easy to find, and is super yummy! I will definitely be trying this! Looks and sounds amazing! I absolutely have to make this! I LOVE pumpkin and I love cheesecake so this was meant for me. I LOVE pumpkin cheesecake! I wish I had a slice of this right now. Wow I never would have expected to use cinnamon chex as part of the crust! this looks absolutely amazing. Totally going to try this for Thanksgiving this year. 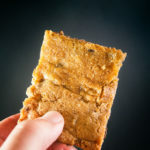 I love using Chex for crust- so much flavor, gluten free, and easily available. Yes to everything pumpkin. I don’t even care if my basic-ness shows. 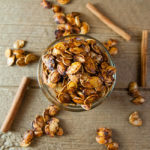 I’m totally on the pumpkin hype and can’t wait to try this!! I love that is doesn’t have any refined sugar! Whoohoo! Giving you a virtual basic high five right now! This looks amazing! I love that you made it with mascarpone cheese! 🙂 And the crust is made from Cinnamon Chex?? Genius! I’m shameless about my pumpkin love too and this looks AMAZING. Can’t wait to try it, thanks for sharing! Glad I’m not alone in my pumpkin love! I’ve never tried something like this before. How delicious! Drooling. You just made me so excited for Thanksgiving and fall in general. I cannot wait to make this. 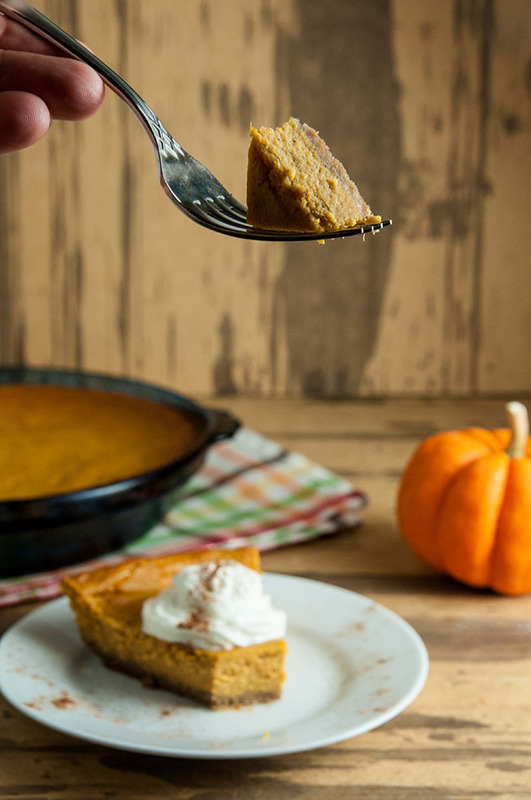 Love any type of cheesecake and this pumpkin one sounds great. Yum! 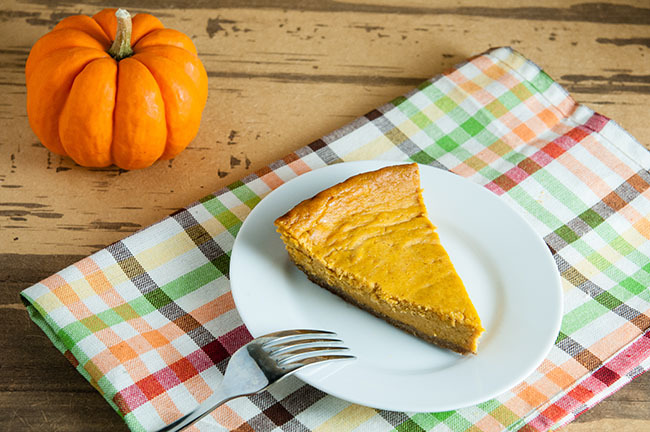 I want a slice of this pumpkin cheesecake! 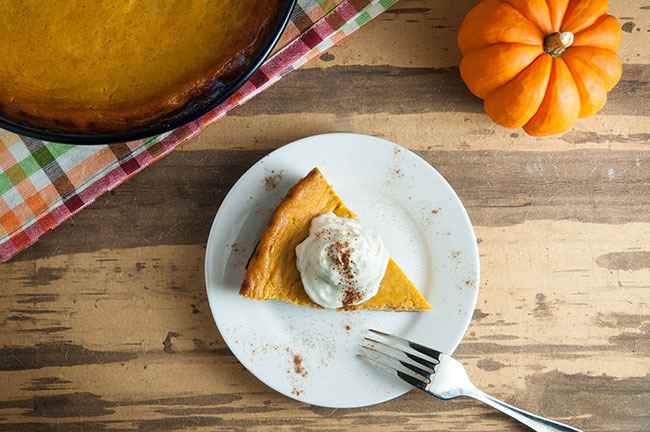 Oh my this pumpkin pie looks delicious! Can’t wait to make some pumpkin pies of my own! 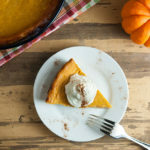 Oh my, I love everything that has pumpkin in it and pair it with cheesecake, love it! Omg! 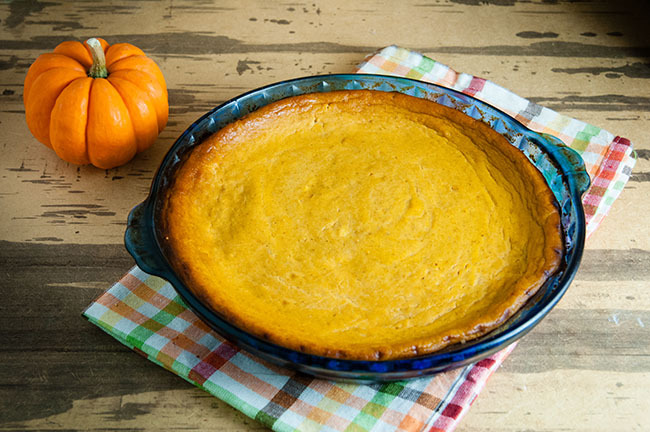 This pie looks amazing– it makes me so ready for Fall! 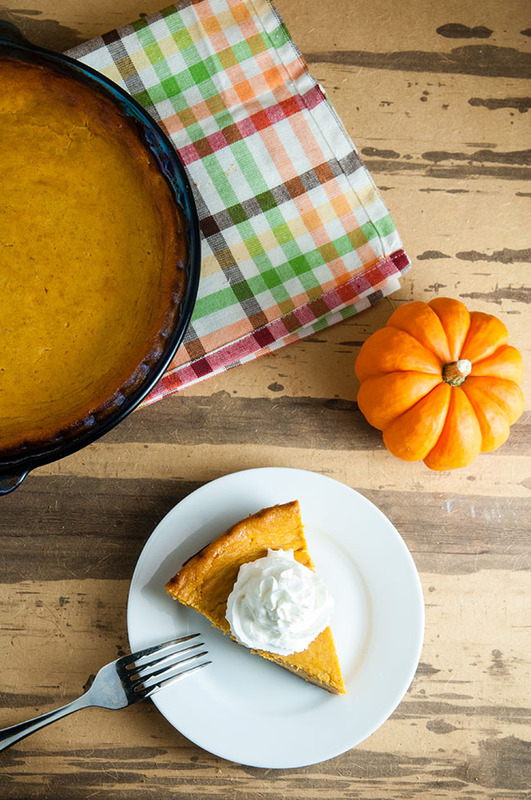 I love pumpkin EVERYTHING and this recipe sounds amazing! This looks so good! I look forward to pumpkin pie every year around this time, but cheesecake just takes it up a level! 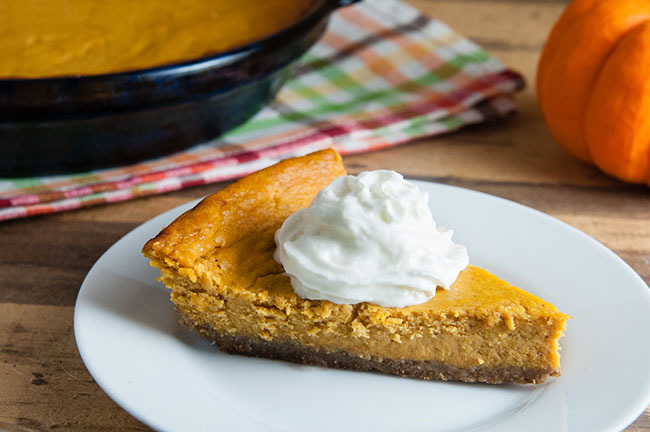 LOVE the crust idea and ALL things pumpkin! Awesome recipe! Mascarpone? SOLD! This sounds amazing! 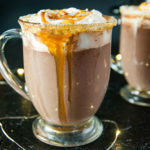 This sounds so tasty, and so perfect for fall! Such an easy, lovely dessert! This looks soo good, I love pumpkin anything. but pumpkin cheesecake would steal my heart for sure! 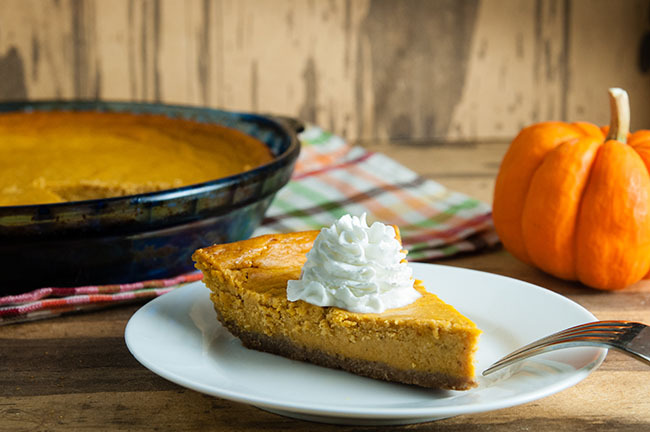 Wow that pumpkin cheesecake looks absolutely beautiful! 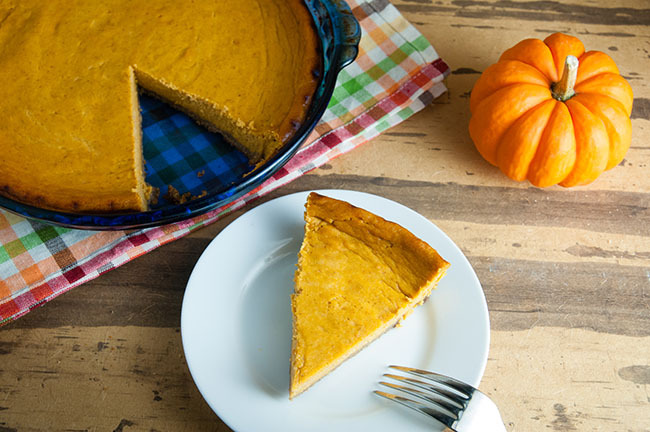 I’d love to try to make this for a family gathering cause they love cheesecake and pumpkin pie. Thanks for the recipe! Pumpkin is my all time favorite flavor and cheesecake is my favorite type of cake, so this has to be a win! Can’t wait to try it! oh my god, I just ate and my stomach is already rumbling! I’m such a pumpkin fanatic and this looks absolutely amazing. This looks so amazing! I’m so glad fall is around the corner and all things pumpkin are in full effect! This looks amazing! I’ll be making this! 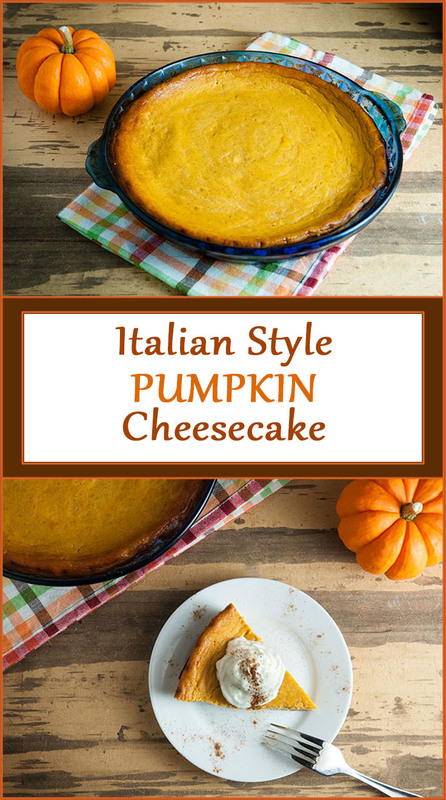 You’ve combined two of my favorite things into one recipe… Italian food and cheesecake? Yum! I loved reading this post. I’ve never heard of using marscapone cheese in a cheesecake until now. And then I saw that you used Cinnamon Chex for the crust. How unique!! Your pictures are beautiful. Perfect for this time of year. YUM! This cheesecake looks amazing! Definitely pinning! I am very impressed with the honey in the filling, the taste must be great. Must try for me too! Adds a floral touch to it. Maple syrup would be delicious too. This sounds delish. I love the idea of mascarpone in cheesecake. Thank you! I think it is even creamier and a much milder flavor than regular cream cheese. Mascarpone is fantastic! I think it is great that you used it in this pie! Thank you! Don’t you just love it? 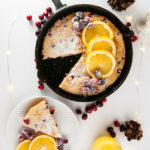 What a gorgeous recipe – delicious!! !